Wayne Monger spent some time in the mid-1980's working on some of the geothermal projects in the Medicine Lake Highlands. 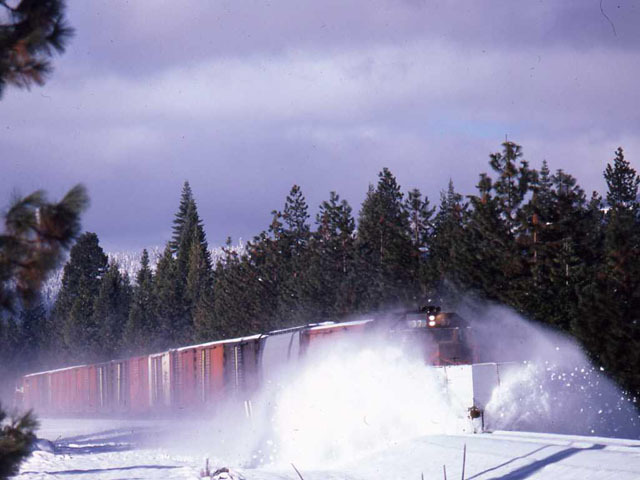 His proximity to the McCloud gave him the ability to photograph the railroad's operations on a regular basis. 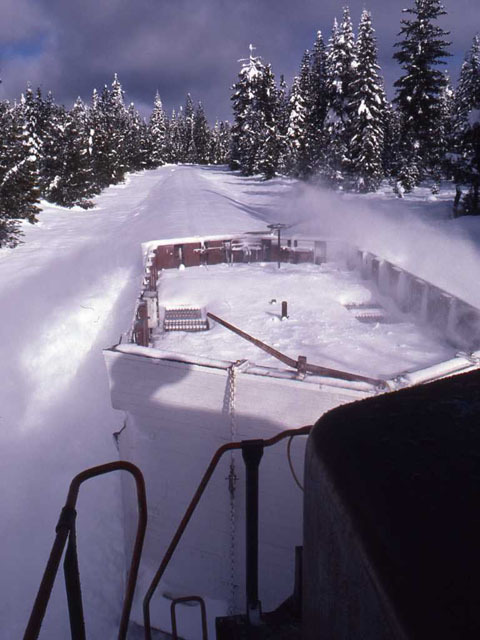 Wayne sent in the following four photographs of winter operations. The first picture shows the #39 leading a Yard & Hill job towards Mt. 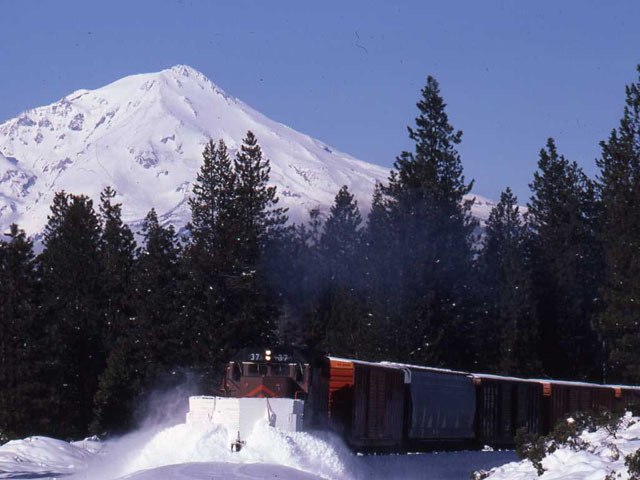 Shasta City, while the other three depict a Lookout Job heading eastbound with the #37 and a box plow/flanger. 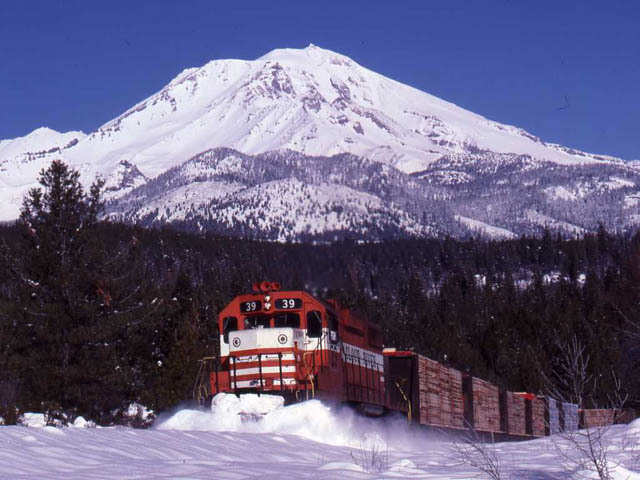 Wayne used several of these photographs in his fine article A McCloud Winter that appeared in the January 1993 issue of Pacific Railnews.